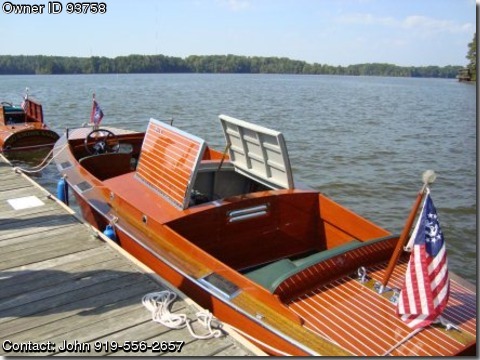 Call Boat owner John 919-556-2657 919-538-0262. Totally restored triple cockpit with 99 percent new wood. volt battery. 5200 bottom, sides and decks. is a show boat winner and a joy to drive. motor that has the Holley downdraft carb.